Graded VG-EX 4 by PSA. 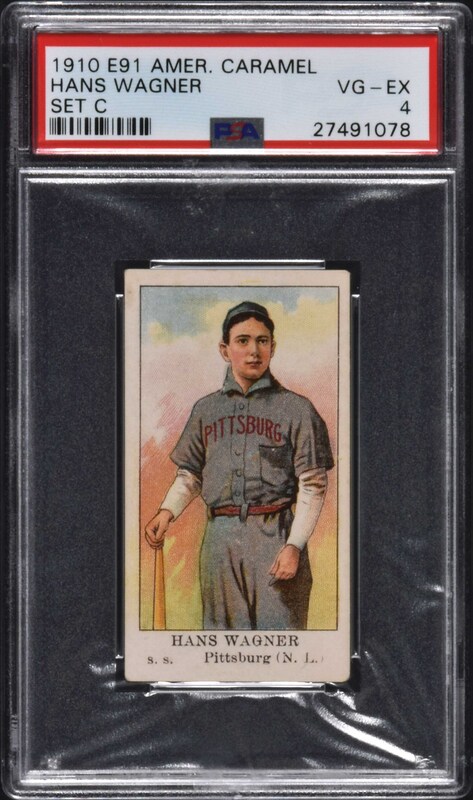 Extremely attractive example of Hall of Famer Honus Wagner from the 1910 E91C American Caramel series. The E91 set is sometimes referred to as the "fake design" set because the company used generic illustrations, rather than actual likenesses, of ballplayers. Thus, the exact same drawing (with team change on the uniform) was used for two or three different players. Three series (A, B, and C) were issued for the E91 set. The offered example is bright, crisp, and clean, with vibrant colors, flawless registration, even corner wear, and centering slightly to the right. The reverse is clean with a checklist for the set printed in bold black ink. 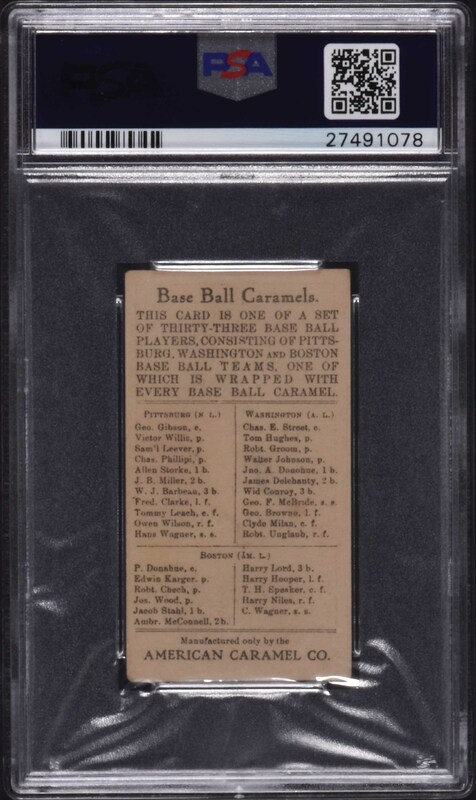 This is a very attractive example of key card Honus Wagner from this interesting 1910-era caramel-card set. Reserve $500. Estimate $1,000/$2,000+.